We’d love your help. Let us know what’s wrong with this preview of Liebe Und Verrat Die Prophezeiung Der Schwestern by Michelle Zink. 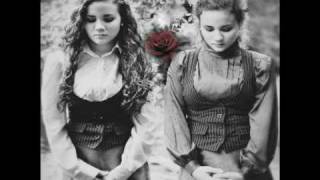 Twin sisters Lia and Alice Milthorpe have just become orphans. They have also become enemies. As they discover their roles in a prophecy that has turned generations of sisters against each other, the girls find themselves entangled in a mystery that involves a tattoo-like mark, their parents' deaths, a boy, a book, and a lifetime of secrets. Lia and Alice don't know whom they can trust. They just know they can't trust each other. To ask other readers questions about Liebe Und Verrat Die Prophezeiung Der Schwestern, please sign up. It is a good mystery with a thrilling twist? I really do not like to give books bad ratings. I feel like an author puts a lot of energy into writing a book, and I should respect them for that. But, there comes a time when I am forced to do what I don't care to do, rate a book poorly. Such was the case with Prophecy of the Sisters. I went into this book with an open mind, and I was curious to see what Ms. Zink could do with the concept of sisters who are on the opposite side of an ancient battle between Heaven and Hell, if you will. What wer I really do not like to give books bad ratings. I feel like an author puts a lot of energy into writing a book, and I should respect them for that. But, there comes a time when I am forced to do what I don't care to do, rate a book poorly. Such was the case with Prophecy of the Sisters. I went into this book with an open mind, and I was curious to see what Ms. Zink could do with the concept of sisters who are on the opposite side of an ancient battle between Heaven and Hell, if you will. What were my issues with this story? First of all, I don't feel that much was actually accomplished here. Mainly the situation was discussed, again and again with various people, and it was done in a rather vague fashion. The writing didn't come to life for me. The world-building was too pallid, and I never felt engaged into this story. The Victorian setting was not as vividly fleshed out as I would have liked--there was a generic historical feel to the story, instead of getting a distinct sense of time and place. I think that Ms. Zink did establish a gothic tone, but not to the degree that the sense of unease that should have been evoked was a sustained one. Honestly, for the serious nature of what these two sisters faced, it was very hard for me to actually care. There were only a couple of moments where I felt a sense of urgency and dread. I didn't feel that the characters were very well-drawn either. Lia seemed a little bit wishy-washy to me. I felt that she had made her choice and was committed, but I didn't see a real sense of urgency or purpose in her. Alice, her sister, had chosen the opposite of Lia, she too seemed detached from the entire situation. I feel that the author wanted the reader to get a sinister vibe from Alice, but she seemed more petulant and skulking than frightening. It's never a good sign when a reader has to force herself to keep reading, and constantly checks the page count. That's exactly what happened to me here. I was determined to finish this book because I needed it for my A to Z challenge, and not because I was compelled to find out what happened. Sadly, one of the few parts that engaged me filled me with such a sense of rage, I had to restrain my intense desire to fling this book against the wall with all my might. I don't think I could possibly have been more angry at something that occurs in this book, and Lia's lackluster reaction to it. Certainly, I understand the value of picking one's battles, but the manner in which she dealt with her sister's highly heinous actions was inappropriately subdued. I wanted to hate Lia for showing such passiveness and I certainly despised Alice for her cruel, selfish act that she tries to write off as not having had a choice in committing. You always have a choice. Certainly, one of the few redeeming parts of this book is that Lia didn't give in to what was suppposedly her fate, but made a choice to break the cycle, although I wish I saw more action from her from that standpoint. Nothing happens in this book! People take walks and talk. Then they ride horses and talk. Then they go into town and talk. All the girls are dumb. The only interesting one is Alice. She was only interesting because she's evil. This book is a rip off of A Great and Terrible Beauty. Gemma Doyle is way better than this. Definitely skip. This review has been hidden because it contains spoilers. To view it, click here. A review in book covers. It's a mirror image of a statue symbolising the identical twins on opposing sides in the book. It screams dark, gothic and mysterious. Now this is an image of two very different girls with an airy fairy silver leaf design which is also present on every page. I wanted to read EXHIBIT A but when it came to reading the story I got EXHIBIT B. I'll explain further. When I A review in book covers. I wanted to read EXHIBIT A but when it came to reading the story I got EXHIBIT B. I'll explain further. When I read the description and saw the cover for A I was intrigued, believing it would be an edgy Victorian story. Instead I got a deeply dull fluff piece where all the protagonist, 16-year-old Lia, does is walk, talk and worry. Step, blah, frown lines. Step, blah, frown lines. I didn't finish. 160/352 pages read. Frustration won. I was defeated when I flipped through the rest and found more of the same. Oh wait, one character dies but I felt nothing even though the author attempts to elicit sympathy for their plight. It didn't work on me. But don't think it was what I wanted to read at the time! Loved how my town was mentioned in it though! What a letdown :( After all of the awesome reviews on here, I expected Prophecy of the Sisters to be better. The idea is interesting, as is the twist in the story. Zink does a great job setting the scenes.... but that is the best I can say about this one. Prophecy of the Sisters is a badly written mystery. You know, the sort where each discovery is a person/place/thing which only provides a certain amount of information... but always points the protagonist ~ in this case, Lia ~ in the right dire What a letdown :( After all of the awesome reviews on here, I expected Prophecy of the Sisters to be better. The idea is interesting, as is the twist in the story. Zink does a great job setting the scenes.... but that is the best I can say about this one. Prophecy of the Sisters is a badly written mystery. You know, the sort where each discovery is a person/place/thing which only provides a certain amount of information... but always points the protagonist ~ in this case, Lia ~ in the right direction so she will easily find the next clue. While Lia professes frustration at the seeming impossibility of accomplishing her task, the reader is fully aware that more answers will be provided in the next chapter. I also found Lia to be an unlikeable character. Granted, this novel takes place in 1890, so it is not unexpected that Lia is presented as somewhat stoic. But even her inner monolouge seems very proper and reserved. Finally, the Spirits, Souls, Prophecies, etc. are given very specific rules, histories and boundaries. I'm not sure how to articulate my exact meaning... but when I read stories with paranormal aspects, there is always some mystery involved. But In Zink's world, the right book, spritualist, note and clue always hold the correct ~ and very exact ~ information about the secret of the Prophecy. Not a big deal on it's own.... but with Lia being very proper, the clues being in proper order and the secrets themselves being somewhat proper... all of the fun has been taken out of what could have been a creepy and haunting story. I'm not sure why I waited so long to read this book. But for some reason I was apprehensive to do so... I mean this book has been sitting on my bookshelf for ever! Probably a year... oops. And I am kicking myself for not picking it up earlier! It was a little slow for me at first... there wasn't much happening, I was trying to figure out exactly what was going on. But the beautiful writing and the richly descriptive details of the era kept me engaged. Lia's story was so passionately told in the f I'm not sure why I waited so long to read this book. But for some reason I was apprehensive to do so... I mean this book has been sitting on my bookshelf for ever! Probably a year... oops. And I am kicking myself for not picking it up earlier! It was a little slow for me at first... there wasn't much happening, I was trying to figure out exactly what was going on. But the beautiful writing and the richly descriptive details of the era kept me engaged. Lia's story was so passionately told in the first person narrative, I couldn't help but contemplate and solve this mystery along with her. Just wow.... characterization was just awesome. Lia is what really drew me to the story, the mystery is probably what kept me reading, but Lia was the catalyst. The premise of the story was something completely unique... to me at least. I haven't read anything quite like it. I've read novels about prophecies before but nothing that tied two sisters together in this sort of situation. It seems as though we still have a lot to learn about the Prophecy.... but the things we did discover are enough to hold the reader over until the next installment. Lia and Alice Milthorpe are twin sisters that just became orphans. Their father has died a mysterious death, just as their mother did many years earlier. Following this tragic incident, Lia finds a tattoo-like mark on her wrist, her first clue that she is entangled in a mysterious prophecy that has a history of turning sisters against each other. Lia finds herself doubting whom to trust and what her role in the events shall be. You know that quote "the opposite of love is not hate; it's indiffer Lia and Alice Milthorpe are twin sisters that just became orphans. Their father has died a mysterious death, just as their mother did many years earlier. Following this tragic incident, Lia finds a tattoo-like mark on her wrist, her first clue that she is entangled in a mysterious prophecy that has a history of turning sisters against each other. Lia finds herself doubting whom to trust and what her role in the events shall be. You know that quote "the opposite of love is not hate; it's indifference"? Well, that's how I feel about this book. I just didn't care about it at all. The book wasn't bad. 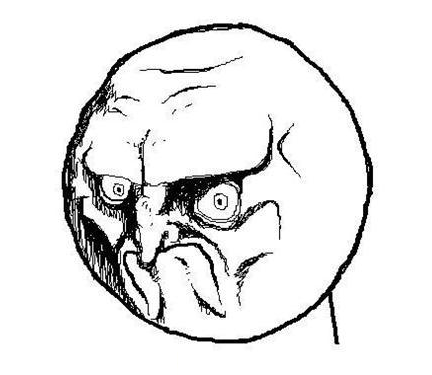 When a book is bad, it works up negative feelings for me, and I end up with a ranting review of several pages. This book, however, was "meh" to the extreme. Everything was dry, lifeless as a limp noodle. I could tell it wanted to be a gothic, A Great and Terrible Beauty-like tale, but it wasn't. Not in the least. There was no drama or tone or action. Lia had no personality and her narrtive consisted of telling rather than showing. All the characters did was sit and talk, walk and talk, ride horses and talk. Alice was supposed to be a big bad sister that Lia was once close to, but I didn't get that impression. Alice and Lia were already distant by the beginning of the book, and perhaps if Zink had started out with them close, that would have created more tension. There is also a love interest that doesn't even deserve mentioning. And the Prophecy was all too easy to figure out. I was ages ahead of the characters and felt like a girlfriend tapping her foot, waiting for her boyfriend to catch up with her at the mall. There were several "surprises", but I wasn't particularly surprised. I love a story with a bit of a mystery that we get to solve along with the characters! Prophecy of the Sisters has been a favourite of mine since I first read it in 2010. I then read the second one, but had to wait impatiently for the final book in the trilogy, Circle of fire. So imagine my excitment when I found it in my local book shop! It wasnt a difficult decision to re-read the first two books again. I thought every one loved this book as much as I did, so imagine my surprise when I read so I love a story with a bit of a mystery that we get to solve along with the characters! 2. I thought this book was well paced. We weren't thrown into the story at some random place, it began at a very logical place, which sent into motion a whole lot of different events, that gained momentum as the characters and the readers find out more about the prophecy. It can be a little slow at times, but I see that as world building, character development, and establishing the relationships which will play and important part in the story to come. 4. And that brings us to Alice: She doesnt start as the outright villan. She mopes, and sulks and glares and all that stuff. But what she does that is more evil than being obviously sinister, is the way she works in the background. Breaking protective spells left by their mother, luring Lia into danger, attempting to seduce James, working with the lost Souls and Samuel, and finally being instrumental in the tear jerker ending. The writing was smooth and easy to fall into, the way the characters speak seems a little off, considering its supposed to be set in Victorian New York (it seems just a little to modern), but thats not too much of an issue. The characters all grow and develop, as do the relationships. I loved the relationship between Edmund, the coachman and the siblings, particularly Edmund and Henry. He becomes a big brother/father figure for him, as well as Lia, and its heartbreaking for him at the end. The plot moves along nicely, and there is no sudden info dump randomly in the middle. The mystery unfurls itself as the characters solve clues. The novels opens as Lia's father is buried. The next day Lia learns that she & her twin Alice are the next in line of a prophecy that marks one twin as the "Gate" between Otherworlds & Earth, but marks the other twin as "Guardian" -- the person who keeps The Gate from allowing Satan's army to trample mortals underfoot. Lia is distressed to learn she's not just any Gate, but The Awesome Gate That Everyone Has Waited For because she's the one who can seal the worlds for Smashingly average. The novels opens as Lia's father is buried. The next day Lia learns that she & her twin Alice are the next in line of a prophecy that marks one twin as the "Gate" between Otherworlds & Earth, but marks the other twin as "Guardian" -- the person who keeps The Gate from allowing Satan's army to trample mortals underfoot. Lia is distressed to learn she's not just any Gate, but The Awesome Gate That Everyone Has Waited For because she's the one who can seal the worlds for good. Anyway, Lia needs four Keys to close the bridge, so there's a lot of looking. And discussion of looking. And sisterly angst. And missing of obvious clues. And looking again. There's some vaguely described metaphysical stuff. We watch as Lia buys into the Prophecy & lost souls warble within two days, then spends a week or two being confused & trying to contact her dead father. Eventually she travels to England to continue searching for the Keys. And...end scene. La Profecía de las Hermanas, libro primero de la trilogía del mismo nombre, de la autora Michelle Zink. En esta primera entrega, Zink nos muestra cómo es posible conducir al público joven al (buen) gusto por la Literatura Gótica Contemporánea. Teniendo en cuenta primero, que es una obra dirigida a un público teen, es fácil comprender la escasa profundidad a la hora de abordar ciertos temas (temas técnicos, que exigen un amplio bagaje, producto de extensas investigaciones), en los cuales la autora La Profecía de las Hermanas, libro primero de la trilogía del mismo nombre, de la autora Michelle Zink. Teniendo en cuenta primero, que es una obra dirigida a un público teen, es fácil comprender la escasa profundidad a la hora de abordar ciertos temas (temas técnicos, que exigen un amplio bagaje, producto de extensas investigaciones), en los cuales la autora se podría haber hecho galas. Si, podría. Bien, la historia trata sobre dos hermanas que se encuentran "condenadas" bajo una profecía (Eh!). Tras la extraña muerte de sus padres, Alice y Lía se encuentran ligadas mucho más a allá del propio lazo de sangre que las une, a través de una marca con simbolismo legendario que las hace recorrer campos astrales y encontrarse con seres sobrenaturales. La obra en general, es bastante buena, (personalmente me pareció muy entretenida) aunque tuve la misma sensación que al terminar de leer el libro "El Ocho" de Neville. - Me explico: El argumento, los personajes, el tiempo y el lugar en donde se desarrollan las escenas fueron sumamente interesantes, pero llegado un cierto punto, la novela se queda anclada por falta de información. La autora "cita" temas que deberían haber sido los desencadenantes de la historia, en otras palabras, "cita el quid" (no sé si me explico). En La Profecía de las Hermanas, cuando se habla de (valga la redundancia) "La Profecía" existen en demasía cuestionamientos que quedan flotando en el aire, cómo: ¿De dónde viene La Profecía?, ¿Qué papel tuvieron los Druidas en la confección de la profecía?, ¿Por qué/Cómo murieron los padres de las hermanas?. En fin, sin olvidar el hecho de que es un libro dirigido a un público teen, la superficialidad informativa no lo separa de un verdadero "Gótico Contemporáneo"
Me gustó, me gustó mucho. Pero cuando leo gótico quiero hacerlo sin escatimar datos. After the sudden and mysterious death of her father, Lia discovers a strange book in his library. It speaks of an ancient prophecy surrounding twin sisters and a demon Samuel. As Lia becomes worried about the role her sister Alice will play in the fulfillment of the prophecy, she must also come to terms with the role she will play. I thought the concept behind this book was intriguing and the idea behind the Gate and the Guardian was interesting, but I am a bit confused between the two. I'm assuming it will be explained more in the second and third book in the trilogy. I did find the book to be a bit predictable and was able to call many of the plot lines. I thought the pacing was very well done and the story line progressed well. It didn't feel as though it was info dumpy, everything was revealed at the perfect time. I liked Lia as a character and her friendship with Sonia and Luisa. Alice fell a bit short for me and I didn't care much about what happened to her. Prophecy of the Sisters is a Gothic novel set in Victorian New York. The story focuses on twin sisters, Lia and Alice, who are a part of this centuries old prophecy that pits them against one another. Lia is the main character and we only see Alice through Lia’s eyes, but you get a feel for each girl’s distinctive personality. The story starts off with death of the girl’s father and the appearance of a strange tattoo-like mark on Lia’s wrist. From there we get a view into their family, friends, Prophecy of the Sisters is a Gothic novel set in Victorian New York. The story focuses on twin sisters, Lia and Alice, who are a part of this centuries old prophecy that pits them against one another. Lia is the main character and we only see Alice through Lia’s eyes, but you get a feel for each girl’s distinctive personality. The story starts off with death of the girl’s father and the appearance of a strange tattoo-like mark on Lia’s wrist. From there we get a view into their family, friends, and the paranormal that now surrounds their lives. After a strange encounter spurs Lia into investigative mode, she becomes determined to discover the reason for the mark on her wrist, and for her sister’s increasingly strange behavior. What she discovers is that her family has some deep, dark secrets that she was never privy to, but that she would soon become the center of. The thing about this book is that it is so different from any other YA book that I’ve ever read and it was a little harder to get into the swing of it at first. Michelle uses the most beautiful language and has developed these incredible characters, so once I started reading it more, I quickly found myself thoroughly involved in the story. Lia is such an emotional character that the reader can’t help but want to know where the story is taking her. Alice, on the other hand, is only seen through Lia’s eyes. She is portrayed as the ‘bad twin,’ but it’s hard to actually hate her because Lia never hates her. The reader feels everything that Lia feels, so the strongest part of the story is the relationship between the twins. The prophecy and the mystery surrounding it gives the story a great moody feel, but Lia and Alice’s confusing relationship is what had me hooked. Every little aspect of this book had me reeling for more. The prophecy is interesting, the characters are rich, the settings are vivid, and the mini love story is delectable. From the moment Lia discovers the prophecy I needed to know more. The mythology behind the prophecy kept me interested and the possible outcome kept me reading from beginning to end. The twins are on opposite ends of the prophecy and are undoubtedly against one another, but they can’t help but love each other anyway. Their relationship changes so much over the course and of the novel and I cannot wait to see what happens in the next book. I loved the language in the novel and Michelle did such an incredible job with her descriptions that I found myself needing more once I finished. The characters are so engaging and the premise just draws the reader in so much that it would be impossible for me to give this book a bad rating. I am definitely looking forward to the next two books in the series. There have been a number of books recently that have been based on the legend of the fallen angels and the “daughters of men.” Prophecy of the Sisters is now several years old, yet feels fresher than most of its kind. Michelle Zink adds some interesting twists to the legend, including some allusions to Celtic myth that I can’t wait to see explored further. Lia tackles the prophecy with the help of two new friends, Sonia and Luisa. She has a sweetheart, too, but refuses to lean on James in any way. As a character decision, this is a little frustrating, because he’s willing to help and Lia’s stubbornness can be annoying. As an authorial decision, though, I like it. The YA field is filled, at the moment, with spineless heroines whose lives revolve around their love interest. It’s gratifying to see a heroine who teams up with her girl friends to solve her problems. Alice, and Lia’s relationship with her, could use some fleshing out. Alice seems almost sociopathic at times, while at other times she seems heartbroken by the role laid out for her, and I’m not sure how much her behavior is being influenced by supernatural forces and how much of it is “just her.” I’d also like to have seen the overarching plot move a little further in this installment, but in general I enjoyed sinking into Lia’s deliciously Gothic world and will definitely be picking up Guardian of the Gate. Lia Milthorpe is grieving for her father's mysterious and untimely death when she notices a strange mark that suddenly appears on her wrist. It is only the first of many strange occurances, because as Lia is soon to realize, she is the latest in a long line of twin sisters who play a part in an ancient prophecy. It is a prophecy that can bring about the end of days--the apocalypse--or prevent it. And the more Lia learns about it, the more she understands that the prophecy has pitted her against Lia Milthorpe is grieving for her father's mysterious and untimely death when she notices a strange mark that suddenly appears on her wrist. It is only the first of many strange occurances, because as Lia is soon to realize, she is the latest in a long line of twin sisters who play a part in an ancient prophecy. It is a prophecy that can bring about the end of days--the apocalypse--or prevent it. And the more Lia learns about it, the more she understands that the prophecy has pitted her against her twin sister, Alice. Now, Lia and Alice race against each other to unlock the secrets of the prophecy. There was a lot of interesting potential in this book, but most of it was wasted. My first major problem is with Alice. The setup of the book has Alice as the traditionally dominant sister, and suggests that Lia and Alice were at some point close. But we never see that. We only see Alice as distant and ominous. She's a chilling character from the beginning, but it's hard to understand what hold she has over Lia, because we never see them as friends or caring about each other at all. The second problem is the pacing. The book moves veeeeeery slowly, and nothing much happens. One of my major quibbles with books in general is when the reader figures something out light years before the characters--and this was the case here. It was obvious almost instantly to me what the Keys were, and it annoyed me to no end that it took Lia and her friends so long to catch on as well. Gosh, I cannot finish this book! I put the book down, oh, two weeks ago and have been staring at it ever since. But I have no desire to pick it back up. The characters are thin as rice paper and I have absolutely no sense of them as people. They sit, they talk, they walk....but they don't do anything. Lia is the main character, but we don't learn anything about her. Her twin sister, Alice, is a mere presence, despite the fact that she is our antagonist. It is also strange that supposedly the twi Gosh, I cannot finish this book! I put the book down, oh, two weeks ago and have been staring at it ever since. But I have no desire to pick it back up. The characters are thin as rice paper and I have absolutely no sense of them as people. They sit, they talk, they walk....but they don't do anything. Lia is the main character, but we don't learn anything about her. Her twin sister, Alice, is a mere presence, despite the fact that she is our antagonist. It is also strange that supposedly the twins were once extremely close, but by the time the story opens, they are so far apart and so awkward that it's hard to believe that was ever true; and it also makes the prophecy less dramatic. How tragic would it be if the twins were inseparable? What really got me was the writing. The idea behind the novel is good, but it doesn't feel fully fleshed out. Lia is the narrator, and while first person can be brilliant, she tells rather that shows. Because of this, there is no sense of time or place...or of the people that inhabit this place, including Lia. Everything seems very superficial and it becomes boring very quickly. It might just be me, but I couldn't stand that way the characters spoke! I could tell the author was going for a sort of antique formality, but it just sounded silly. It was overdone and felt very unnatural, and that irritated me. And finally, I have to throw out that once again, we have a central love story that falls completely flat. Obviously, the problem is rooted in the superficial narrative--I don't care about Lia or James and so I can't care about their relationship. I don't even know what they see in one another! I found Prophecy of the Sisters to be a highly original novel, I don't think I've read anything like it. I often shy away from historical novels but this one I knew I had to pick up and I wasn't disappointed. The way the characters carry themselves and behave was really exciting for me, I wanted to be sitting in the parlor playing cards with Lia and Henry and going up to my room where a fire was burning. For some reason I had decided this book was going to be really really scary, don't ask me why I found Prophecy of the Sisters to be a highly original novel, I don't think I've read anything like it. I often shy away from historical novels but this one I knew I had to pick up and I wasn't disappointed. The way the characters carry themselves and behave was really exciting for me, I wanted to be sitting in the parlor playing cards with Lia and Henry and going up to my room where a fire was burning. For some reason I had decided this book was going to be really really scary, don't ask me why, because I have no idea! I was pleasantly surprised the way the paranormal elements in the book handled. Personally I wouldn't even begin to imagine how paranormal elements would look 100 years ago but I think the author created something that really works and seems authentic to this time period. 2. Con tutto quello che ho avuto da studiare nell’ultima settimana, non so nemmeno dove ho trovato il tempo per leggerlo. 2. Con tutto quello che ho avuto da studiare nell’ultima settimana, non so nemmeno dove ho trovato il tempo per leggerlo. Devo dire che già di partenza mi ha incuriosito molto. Ho infatti deciso di comprarlo perché la copertina era molto inquietante e il titolo sapeva di mistero e paura. E infatti, durante le prime 75 pagine del libro che ho letto in una notte buia sotto il piumone del letto, avevo veramente paura perché parlare di Satana e anime perse nel Vuoto non è proprio il massimo prima di addormentarsi. Soprattutto se si ha paura del buio e nella propria stanza arriva la luce di un lampione che proietta delle ombre molto inquietanti sulle pareti come alla sottoscritta. Però me lo immaginavo peggio. Il libro è di per sé un libro singolo, anche se arrivati alla fine ci si chiede il motivo per cui non si riesca a sapere nulla dopo quel viaggio in treno. Il motivo è che questa fantastica Casa Editrice ha deciso di non far né tradurre né stampare gli altri due libri di questa trilogia. Poco importa, non voglio leggere una trilogia, però voglio sapere cosa succede. Anche perché coinvolge in una maniera assurda la scrittura di Michelle (come me :3) Zink, non troppo moderna ma nemmeno troppo stile ‘800. È quasi spassoso che il libro inizia con un funerale e finisce con un funerale, per il quale mi sono messa a piangere mentre aspettavo il pullman. È stato piuttosto imbarazzante ma, come ogni buona autrice che si rispetti, la Zink doveva uccidere qualcuno. Forse non il personaggio più innocente, ma questo è solo un parere. Videli ste niekedy takto spackaný preklad? Ja som doteraz skoro nikdy originálne texty s našimi slovenskými prekladmi neporovnávala, a to z dvoch dôvodov. Nikdy som sa nad tým poriadne nezamyslela a teda mi ani nenapadlo, že niekto to predsa musí preložiť a že sa mu to nie vždy musí podariť a tiež som nevedela po anglicky, takže porovnávanie ani nebolo v mojich silách. Neskôr som si prečítala pár článkov a sťažností na úroveň slovenských prekladov, ale nikdy som tomu nevenovala nejakú veľkú pozornosť. Anglická verzia: "Yes, well, now we shall be stuck inside for an interminable time, and it is so very dull here. Do you suppose Aunt Virginia will allow us to attend classes next week?" She continues without waiting for an answer. "Of course, you don't even care! You would be perfectly happy to never see Wycliffe again." A takto je to preložené: (pripomínam, že dej knihy sa odohráva v 19. storočí! ): "No jasné, teraz budeme trčať v dome bohvie ako dlho, a pritom je tu taká nuda. Myslíš, že teta Virginia nám dovolí ísť na budúci týždeň do školy?" Alica vôbec nečaká na moju odpoveď, nadýchne sa a pokračuje: "Pochopiteľne, tebe je to fuk! Tebe by vyhovovalo, keby si už v živote do Wycliffe nevkročila." Do you know how many readers labeled this as historical fiction? 44. And now, let's think a bit. It could be said that when a book takes place in 19th century, it has to be historical fiction. But in my opinion it isn't that simple. I expect at least a bit of real history in it, but to accomplish it you need a research and this takes time, so what the author did? She reasoned: "I will have a prophecy and two sisters. There will be a battle between good and evil. But I feel something is missing. How could I make it more interesting? Hmmm.... I know! It will be so much better in 19th century with carriages, gloves and forbidden kisses. Horses, gowns, old manors... It sounds romantic. Well, that's it. Let's write." And where does that leave us? We have girls who speak like today's teens, behave like today's teens, only instead of going somewhere in their own car, they hop on a carriage. This is a story about two sisters who play opposing roles in fulfilling an ancient prophecy that determines the obliteration of mankind and apocalypse. One of the twins will be the Guardian, the other the Gate. One of them is good, and the other evil. At first, the story goes as I expect it to be, but soon the author inserts a twist which changes everything. Amalia 'Lia' Milthorpe discovers a mark emerging on her wrist a few days after the strange death of her beloved father. She starts to encoun This is a story about two sisters who play opposing roles in fulfilling an ancient prophecy that determines the obliteration of mankind and apocalypse. One of the twins will be the Guardian, the other the Gate. One of them is good, and the other evil. At first, the story goes as I expect it to be, but soon the author inserts a twist which changes everything. Amalia 'Lia' Milthorpe discovers a mark emerging on her wrist a few days after the strange death of her beloved father. She starts to encounter strange things which led her to unearth the mystery of the prophecy which is kept a secret by her parents when they were alive. The only person in her family who probably knows about this is her Aunt Virginia, who acts as an in loco parentis to the orphans. As she seeks her aunt's help, she also realizes that Alice is not what she seems. Prophecy of the Sisters is very well-written, and I love Michelle Zink's literary prose. Not many authors can describe something that concerns the parallel universe with such ease and proficiency. The plot is one of the highlights of this novel. It is absolutely spellbinding. The author presents us with the prophecy, and then lets us know how Lia tries to find more information about it with the help of her aunt and two close friends who also bear the same mark as her. Each time she unravels a piece of information, I'm both surprised and excited to see what happens next. Did I mention the twins also have a younger brother, Henry? Henry, a clever and cute ten-year-old boy, is a lovable character, but unfortunately he is ill-fated. I never thought he would end up that way. I really admire his spirit and determination to protect his sister, even if his own life is at stake. I wish I have the chance to know more about him. Lia und Alice trauern nach dem mysteriösen Tod ihres Vaters um das Familienoberhaupt. Nach dessen Tod erfahren die beiden Mädchen, dass sie Teil einer uralten Prophezeiung sind. Einer Prophezeiung, die das Ende der Welt bedeuten könnte. Lia selbst ist das Tor zur Anderswelt, während ihre Schwester Alice als der Wächter dieses Tores gilt. Beiden fällt es schwer, sich in diese Rolle hineinzuversetzen und gerade Alice fällt es schwer, ihre Rolle als Wächter zu akzeptieren. Sie legt Lia Steine in de Lia und Alice trauern nach dem mysteriösen Tod ihres Vaters um das Familienoberhaupt. Nach dessen Tod erfahren die beiden Mädchen, dass sie Teil einer uralten Prophezeiung sind. Einer Prophezeiung, die das Ende der Welt bedeuten könnte. Lia selbst ist das Tor zur Anderswelt, während ihre Schwester Alice als der Wächter dieses Tores gilt. Beiden fällt es schwer, sich in diese Rolle hineinzuversetzen und gerade Alice fällt es schwer, ihre Rolle als Wächter zu akzeptieren. Sie legt Lia Steine in den Weg, wo sie nur kann und tut alles dafür, damit Samael - der Dämon, welcher durch das Tor in diese Welt gelangen könnte - von ihrer Schwester besitzt ergreift. Der Schreibstil war für die entsprechende Altergruppe, die laut Amazon vorgegeben ist, wirklich nachvollziehbar und einfach geschrieben. Er ist aus der Sicht von Lia geschrieben und dennoch hat es mich persönlich etwas gestört, dass sich das Buch tatsächlich hauptsächlich um Lia dreht. Mag sein, dass sie das Tor zu allem ist, dass sie bestimmte Hindernisse überwinden und Aufgaben erfüllen muss, aber ich habe in diesem Buch wirklich ein wenig die Spannung vermisst. Okay, es ist lediglich der erste Band der Reihe, aber dennoch dreht sich in diesem hauptsächlich alles um die Trauer der Mädchen, wobei gerade Alice oftmals in den Hintergrund gerät. Lia kam mir auch oftmals ziemlich naiv vor und ich hatte das Gefühl, sie einfach nur schütteln zu wollen, damit sie endlich einmal aufwacht. Während der gesamten Storys "stolziert" sie lediglich durch die Gegend, um irgendwelchen Informanten aufzusuchen, welche sie doch nur an den nächsten verweisen.. und an den nächsten.. und an den nächsten..
PROPHECY OF THE SISTERS begins a trilogy that speaks of olden times, musty secrets, and shadowy danger everywhere you turn. Michelle Zink sets the mood extremely well: the threat of darkness lurks on every page, and I kept on picturing the story running through my head in black and white and sepia. This insistence on a lurking danger makes the story all the more suspenseful and will keep you reading, frantically flipping the pages as if that will release some of the tension. This book is mostly e PROPHECY OF THE SISTERS begins a trilogy that speaks of olden times, musty secrets, and shadowy danger everywhere you turn. Michelle Zink sets the mood extremely well: the threat of darkness lurks on every page, and I kept on picturing the story running through my head in black and white and sepia. This insistence on a lurking danger makes the story all the more suspenseful and will keep you reading, frantically flipping the pages as if that will release some of the tension. This book is mostly exposition for the promise of more action, more peril in future books. Because of that, readers who crave nonstop action will have difficulty getting into this book. The reading is worth it, however, as the prophecy is intricately created and fascinatingly complex. I have no idea how Michelle made the ominous prophecy so captivating, but she does. I would like to see more character development in the future novels. Because the story is told from Lia’s first-person point of view, I sometimes had trouble understanding how all the characters came to be who they are, and how their stories and personalities are interconnected. In particular, I’m curious to see Alice develop into more than just a suggestion of the “wicked sister;” she seems like such a fascinatingly evil character that I would’ve loved to see how she thinks, how she became that way! Perhaps the most striking part of PROPHECY OF THE SISTERS, though, is its unpredictability. Michelle defies conventional storytelling and adds surprising twists and events that, in retrospect, seem as if they belonged there all along. This book is no happily-ever-after tale; Lia’s losses are truly tragic and thus poignant. Michelle understands that triumph hardly ever occurs without losses, some of which are heartbreaking. All in all, PROPHECY OF THE SISTERS is a promising start to a trilogy that will appeal to fans of gothic literature or dark historical fiction with a hint of the occult. I look forward to reading more about where the prophecy takes Lia and the rest of the characters. 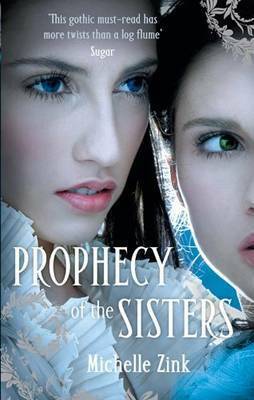 I just finished reading PROPHECY OF THE SISTERS this morning and totally loved it. PROPHECY follows Amalia and her twin, Alice. Shortly after their father's mysterious death, Lia discovers that a strange mark is appearing on her wrist, darkening with each passing day. And as she digs into the reasons behind such an odd occurance, she begins to battle with her sister. It seems these two play a role in a prophecy which has lasted centuries. A prophecy that must end with Lia and her sister. But wil I just finished reading PROPHECY OF THE SISTERS this morning and totally loved it. But will Lia be able to keep an army of lost souls from entering earth and thus beginning the end of days, or will her twin sister and rival win out? 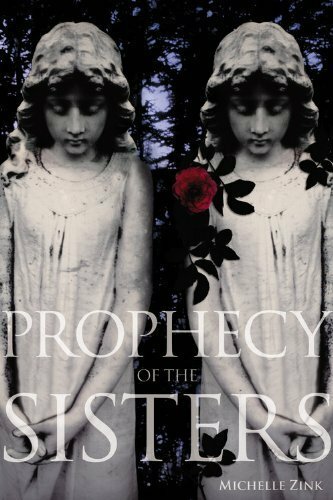 PROPHECY OF THE SISTERS is a dark, gripping, haunting tale. You'll love Amalia's vulnerabilities, you'll yearn to know what the keys are--and where they are hidden--and you'll flip the pages ever faster as you near the end. DNF... It started out okay and I didn't feel attached to any of the characters but the premise intrigued me so I pushed on, hoping it would get better. A beautiful and mysterious fairytale that I could not put down. With a beautiful biblical reference and a wonderful good overcomes evil tale this book is sure to keep you reading into all hours of the night. This dark Gothic story has a delightfully hopeful side that you can't help but love. The main character Lia takes you on a journey of discovery, love, loss, and what it means to grow up. She left me with wanting more and dieing for a sequel. Michelle Zink is author of the Prophecy of the Sisters trilogy, A Temptation of Angels, and This Wicked Game. Her next book, Lies I Told, releases Spring 2015. “I recall his somber eyes during that last, private conversation. His eyes and his words, far too wise for a boy of ten: only time will tell, Lia.